My friend Gilbert from Singapore (I know, it's not in Indonesia, but...) is a most remarkable person. He has gone through many difficult things but he is still a very positive person. The beautiful picture to the right is a painting he has done with his mouth! 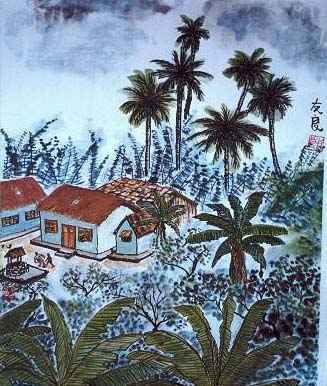 You find this painting and many more beautiful ones on his Web site, where you also can read his very touching story. Did you by the way know, that Herge's well known cartoon hero Tintin visits Indonesia in one of his adventures, namely Flight 714. 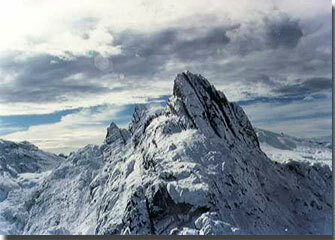 The highest mountain in the world situated on an island is Puncak Jaya with its 5030 m (16503 ft). 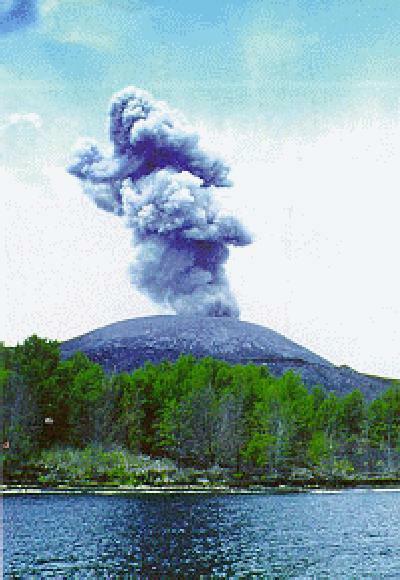 One of the most well-known volcano eruption was that of Krakatau, located in the Sunda Strait, between Java and Sumatera, which literally exploded in 1883 killing 36000 people. See a picture of the volcano. "Crazy-Man Documentaries" is dedicated to the provision of a forum and voice for marginalized groups of people around the world. You can read about Irian Jaya here. He has also some interesting pictures from Malaysia in 1996.